You must make reservations at least 5 minutes in advance of the time at YB. The Cape May Trolley will stop at either Jackson Street or Perry Street. Our restaurant is located in between those street, a 15 second walk. Part of the Kara Restaurant Group family which owns George's Place, Pano, Michael Kara Store, and Michael Kara Catering, YB was the second business to join the group. Established in 2011, YB is on the Cape May beachfront. The cuisine is fresh American with a Mediterranean and Asian influence. We are also a BYOB, and have a no children under six after 6pm policy. We had dinner at YB on 5/12/19. The food was outstanding. The salmon was seared with a light crust and had melt in your mouth flavor. The green beans were very fresh, cooked with butter and small pieces of sweet onions. The service was attentive, but not in the least hovering. Bringing an old bottle of wine, our cork crumbled. Brandon did a wonderful job salvaging it. If I were still in Cape May, I'd go back today. I have am celiac and was delighted to read so many good reviews about YB in regards to the GF food choices on their menu. Many things can be GF very easily and this chef undoubtly knows how to cook to make food taste delicious. It was great to have so many options, not just one thing that was gluten free or having a GF menu which can be terrible some places. Our server Brandon was very knowledgable and attentive to us even with a very large party next to us to attend to. We would definitely return and told our family who lives close by to go give it a try for themselves. Our most recent dinner at YB was a treat. The updated decor gave it a brighter appearance, although they unfortunately still have those very uncomfortable metal chairs. The new menu had some nice additions as well as some old favorites. 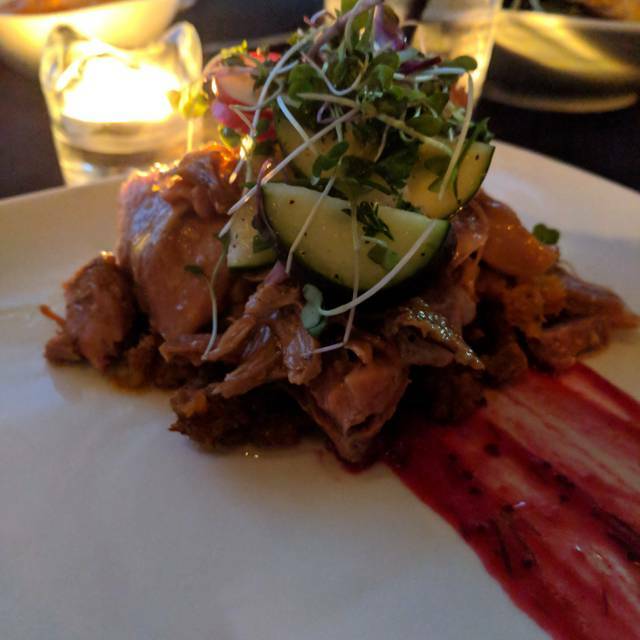 We initially were disappointed to see the swordfish seviche tacos were no longer on the appetizer menu, but the tuna taco appetizers were equally delicious and a nice change. The Greek salad was as delicious as we remembered it. I had the Crab Cake duo as my entree and have to say they were the best crab cakes I've ever had. Two 4 ounce cakes of delectable crab meat with a delicious crunchy coating and a scrumptious version of a tartar sauce. My husband's pork chop was perfectly done; moist and flavorful. We thoroughly enjoyed our meal and will be back again soon! I don't like service people who say" no problem" instead of your welcome. No problem to me implies you are doing me a favor. We had the tuna taco appetizer. Yum. So light and tasty. For dinner, my hubby had the tuna with sobe noodles. Again, the flavors were so light and refreshing. I had the salmon. It had a crispy skin and seasoned perfectly. I loved that the sides included spinach and asparagus. Not typical. Every thing was very good. Our server was warm and pleasant. The dining room was smaller than I expected but it made it cozy and quaint. The outside tables had a couch on one side of the table. A metal chair on the other side which I did not prefer as it was cold. Considering it was very cold outside, I did not prefer the cold chair. Overall, i loved it and would definitely go again! The tuna appetizer was spot on. My wife had tuna with couscous and I had the Black Sea bass with black wasabi. Both were exceptional and the service was unintrusive. We had an excellent meal! Great service and nice ambience. Looking forward to returning. The atmosphere was awesome, the food was delicious and the staff was super friendly. I’ll definitely be back the next time I’m in Cape May. Our dinner at YB in February was fabulous ! We have eaten here several times before and the food is always delicious. There are a couple of new things on the menu that we really enjoyed like the scallops wrapped in bacon for the appetizer . My husband had the ribeye steak entree and I had the herb mustard chicken. The sauteed vegetables , potatoes, and corn bread stuffing were very tasty. Kudos to Peter the chef. Our waiter, Brandon , and new owner is very friendly and attentive to help make your evening perfect. 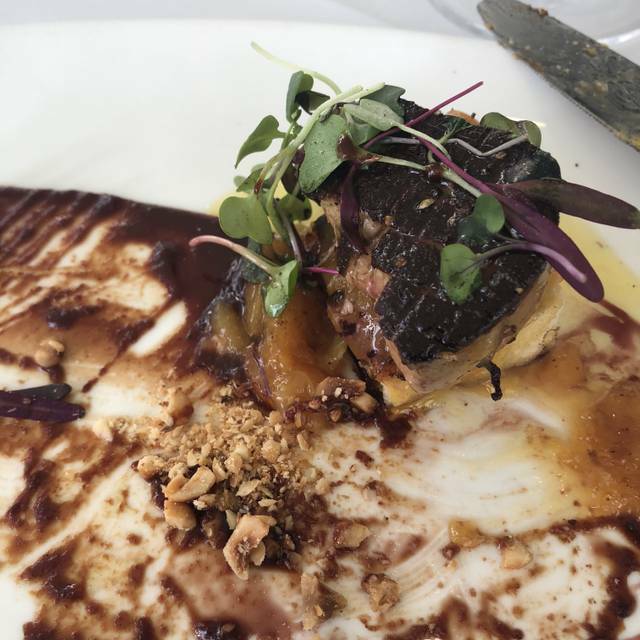 If you haven't tried YB yet while visiting Cape May , make a reservation. You will love it ! Very nice experience in a too empty restaurant - Most people don’t realize YB is open this winter and should take advantage of adding a different venue to their dining options. First thing one realizes is this is not the old YB. The menu provides Cajun, Asian and American influenced foods although the traditional Greek salad (no lettuce) is on the menu and the large serving we ordered was substantial and delicious. We also shared an order of the tuna tacos which arrive in small crispy taco shells and were enjoyable. I had the crab cakes (2) which were good value for the price point and came with wonderful mashed turnips and roasted vegetables that I found to be unusually tasty. My wife had the salmon which was well prepared and served on s bed of gluten free spaghetti lightly dressed in a pesto sauce. The salmon was flavorful and not over cooked as found in too many restaurants. Brandon served us and made the evening very enjoyable with the right balance of friendliness and professional attention. This is a BYOB so plenty can be saved by bringing your own wine or libation. We suggest you give the new YB a try, we will be back! Our food and service were excellent. We will definitely go back when we’re in Cape May. 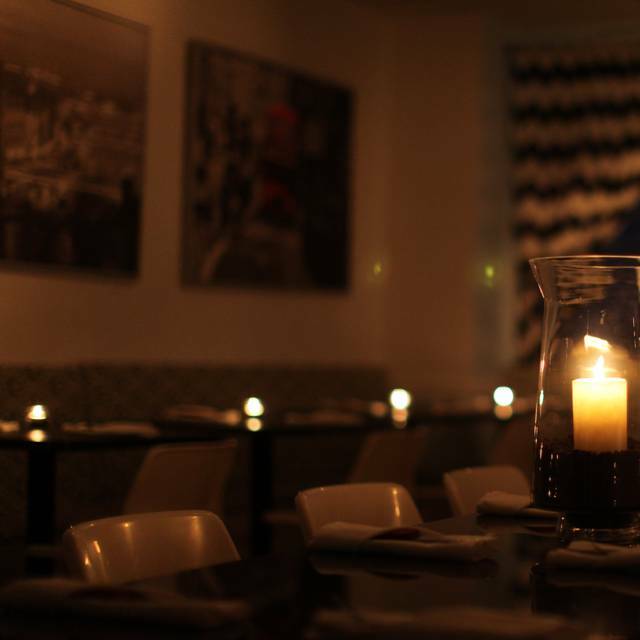 YB is a great, small place for delicious food with a romantic atmosphere. Great location in Cape May! I booked this restaurant bass on their broad menu as well as being byob. We had a group of 14 and it seems they had entrees which would cover all appetites. When we got there we were told they had a limited menu of only 4/5 entrees. I called the prior day to confirm and was not told this. There was also confusion with what 'crispy vegetables' are. It was basically the Same thing as the salad we had. The food was ok. They did offer $15 gift cards for the 7 couples, but I don't think we will be going back. While in Cape May, this was the second time we visited YB. We were there over the summer and loved it. At the time we were told they would not be open "off season" Lucky for us we found that they were open Friday and Saturday during the off season. The menu is abbreviated but still offers great choices. Best of all they still offer the Peanut Butter Bomb for dessert. Our server was awesome (she was the only one working- the house was very quiet). It gave us a chance to "chat it up" with her. What a super friendly person. We also spoke to the chef who told us that changes were coming to YB. He mentioned menu changes and changes to the physical space. Can't wait !! P.S. Try their sister restaurant Georges for breakfast or Lunch. It's about two buildings up the block. Make sure to have dessert!! Had an amazing dinner with 3 other friends celebrating a 60th birthday. Fortunately for us it was off-season and there were no other patrons when we arrived late so we got all the attention. Appetizers, Salads, Dinners and desserts were ALL delicious. Not a large menu which I prefer but plenty of variety on it. Quaint atmosphere and friendly/attentive staff who took pictures for us and helped us sing Happy Birthday. Reasonable prices for a BYOB, another plus!!! I highly recommend this restaurant when in Cape May. Went to y.b. for a pre-concert dinner. We were the only guests, but the server made us feel welcome and comfortable. The mac and cheese bite apps were so yummy! Loved the sweet kale that came with the shrimp dish...so delish! Hubby loved his crabcakes too. Prices were reasonable. We will definitely return! We had a wonderful evening dining at YB. 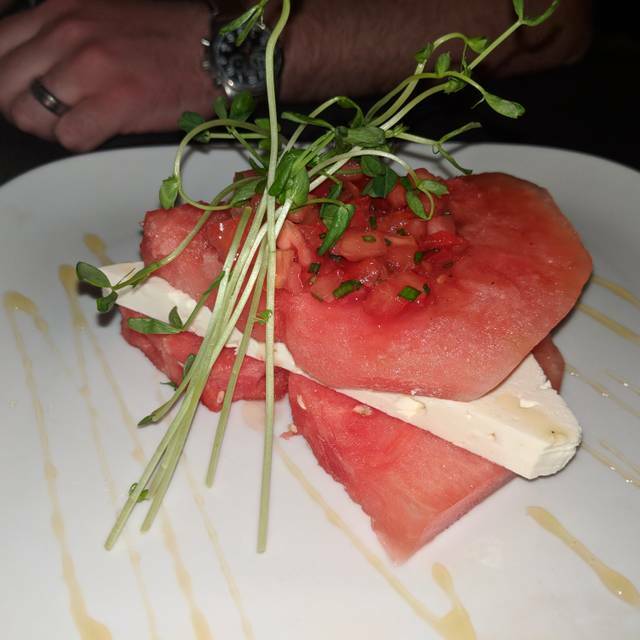 The Watermelon, Feta, and Tomato with Honey Drizzle Appetizer was incredible. The flavors blended together are so delicious. I had a special of the evening which was duck that melted in your mouth with yummy duck fat fries. A side order of the cornbread stuffing is always one of my favorites. My husband had a fillet mignon that was cooked to perfection with fries. Dining at YB is a great experience. The staff is very friendly and attentive. We highly recommend you put this restaurant at the top of your list. 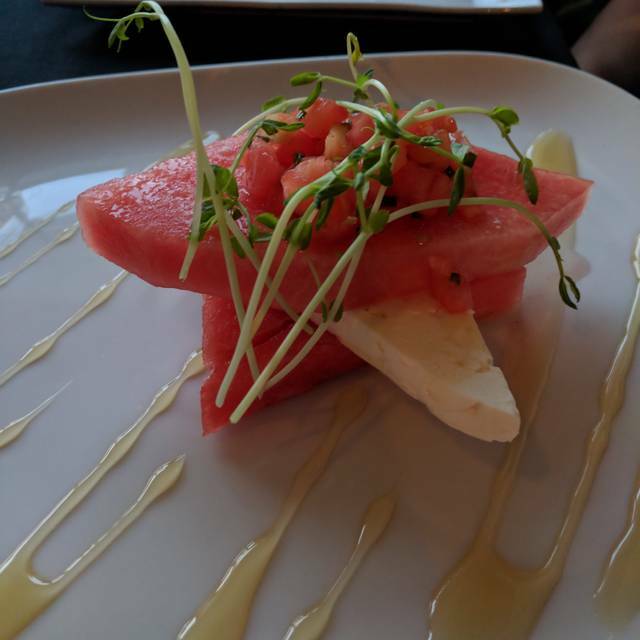 Excellent cuisine, outstanding flavors and super fresh food! Crap cakes were the best we've tasted, and the mac & cheese poppers appetizer was enough for a meal in itself. Highly recommend this restaurant! Delicious! We thought the menu was limited and should be more specific with crab cakes, whether broil or fried, they were fried. Very dark but enjoyable. Love that it is a BYOB. Great place, great service, food was excellent, only suggestion is keep an eye on air conditioning, were I was sitting became a little chilly. My husband ordered the cod which was delicious. I ordered the crab cakes. They tasted as though they were bought and not homemade. Lots of filler, little crab. The polenta that came with it was very lumpy and tasteless. It was not worth the $25.00 charged. Wish I would of chosen a different entree. We always like coming to the YB when we’re in Cape May. Guaranteed to be good food. I expected more after reading some reviews. I understand this is a small place, but you could smell the grease from the kitchen, which was unpleasant. We heard so much about the duck fries and my husband ordreded them (large) before I saw the price of $10.00. I had the crab cakes which were deep fried,and tastless. My husband had the seared tuna, which was good. The best part of the experience was speaking with the 2 other couples that were seated on either side of us. I hope they do something about the grease smell, and maybe we'll try it for lunch next year. My family went for my daughters birthday and everyone enjoyed their meals. Stand outs were the pork belly appetizer, the salmon entree and the duck fat fries! Y.B. 's was a great find! We'll definitely go back whenever we're in Cape May. 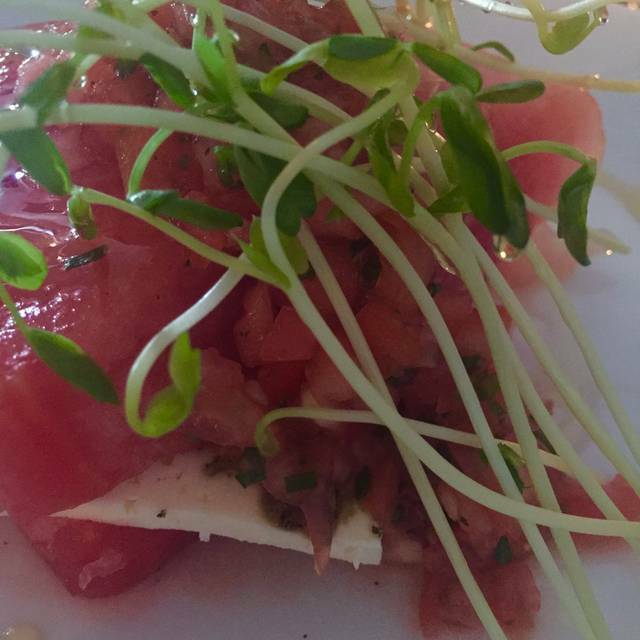 Loved the swordfish taco appetizer and the tuna with watermelon salsa. The atmosphere was casual and fun and the food really creative. May very well have been the best meal I’ve ever eaten. Superb presentation and mix of culinary delights makes this a perfect eating establishment. Inspired cooking. We spent two nights in a row at YB. We liked that we could customize our meal. Absolutely delicious. Tuna with sorba noodles was as delicious as shrimp with smoked kale. Bring a bottle of wine and enjoy. Third visit in three weeks. 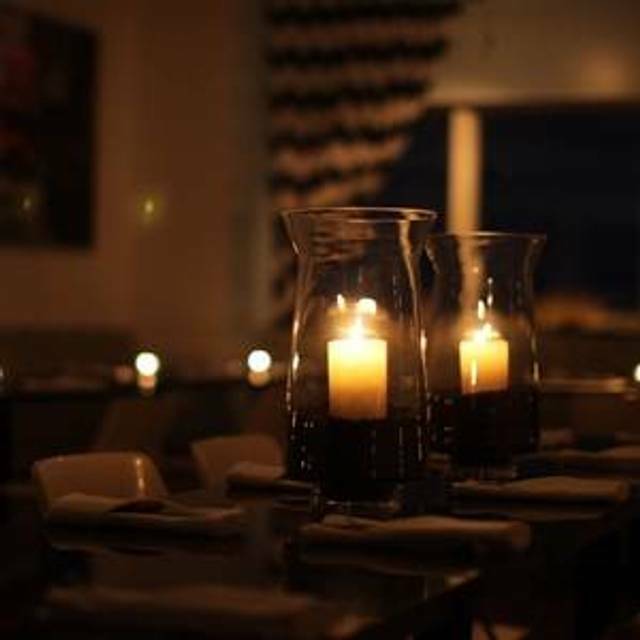 Great food, service in a most relaxing beach-facing atmosphere. Pricing fair. BYOB. Seating system (reservations) very reliable. Love it there! Have been going to YB for years. It is an incredible restaurant. Creative food, good prices, late hours, and friendly service. Highlights are perhaps the best stuffing you will ever have (Yes stuffing, order it!) creative turkey, crab cakes, pork belly, and the fish. Remember though it is cash only which is a little bit of a bummer, but prices for 2 almost never top $100 with tip which is great for such a fine restaurant. This was the first time I have eaten here. It is small and dimly lit but a nice atmosphere. The food was excellent and so was the service. I will definitely go back here again. Excellent! Can’t wait to go again! Food was great. Service was excellent!